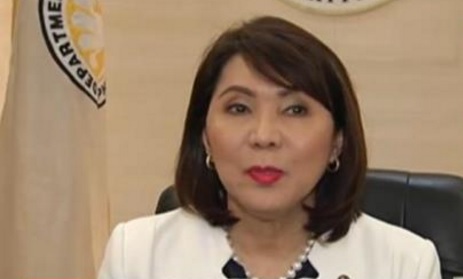 Tourism Secretary Wanda Teo announced on July 28 that the Miss Universe beauty pageant will be held in the Philippines next year. The announcement came on the heels of a confusing comment coming from President Duterte that he does not want the Philippine government to spend for hosting the said pageant. The comment surprised a lot of people since Teo said two weeks ago that Duterte agreed in principle to hold the pageant in the country. The meeting between Miss Universe Pia Wurtzbach and President Duterte on July 18 was to further discuss the Philippine hosting of the pageant. It turns out that the President need not worry about spending precious government funds for the event. The private sector will shoulder the $11 million expenses that will be incurred for hosting the Miss Universe pageant. Teo assured that there are already a lot of offers from the private sector regarding sponsorship of the event. She confirmed that the country's richest man, Henry Sy, is one of the sponsors, along with Japanese billionaire Kazuo Okada of Tiger Resorts. We have a President who comes from Mindanao and our Miss Universe is from Mindanao. So I think it would be the best time for us to do the Miss Universe here in the Philippines.... I would like to inform everybody that the Miss Universe beauty pageant will be on January 30, 2017 here in the Philippines. The government is not going to spend any single centavo here. It would be the private sector who would shoulder the expenses. In a report filed by Interaksyon, it was noted that Manila is excluded from the possible venues for Miss Universe events and activities. President Duterte reportedly does not want the event to cause massive traffic in the nation's capital. Teo said they are looking to bring the pageant to popular tourist spots in the country like Boracay, Cagayan de Oro, Cebu, Davao, Palawan, or Vigan. The Miss Universe pageant is expected to boost tourism in the country, since the event commands a global audience in the tens of millions. Filipinos reacted positively to the good news and most are looking forward to the event. 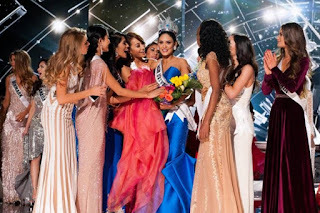 This would be the third time that the Miss Universe beauty pageant will be held in the country. The first time was held during the Martial Law era in 1974, wherein the crown went to Amparo Munoz of Spain and in 1994, when Sushmita Sen of India won.